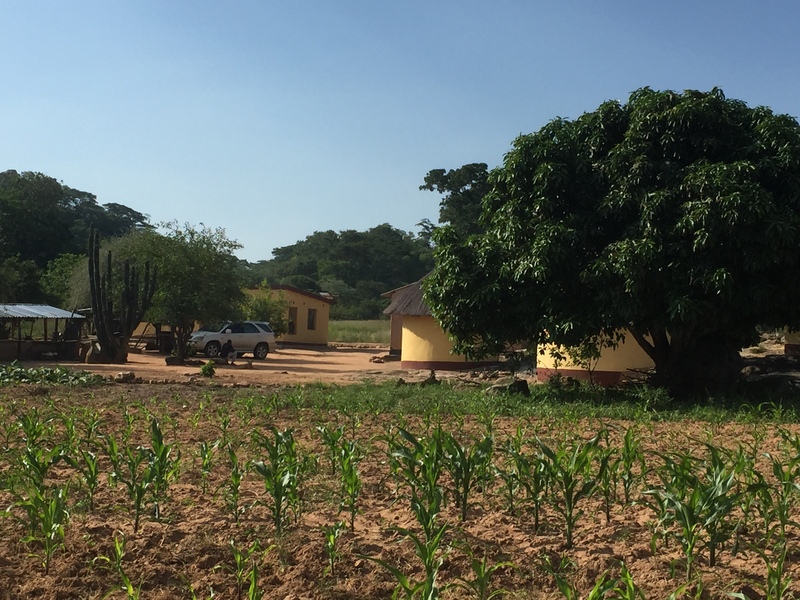 In this week’s blog, I want to present two cross-generational case studies of Purchase Area (now small-scale farming area) farms, based on interviews carried out earlier this year in Mushagashe and Dewure SSCFAs in Masvingo Province. They are not in any way representative, but they do show in particular the generational shifts in patterns of production and accumulation, and the shifting relationship between land, as somewhere to produce and somewhere to live and call home. Questions of identity – and what it means to be a ‘farmer’ – are raised, as are issues around both gender and generation in commercial agriculture. Overall, the lack of a linear process of evolutionary change, and the complex social dynamics of agrarian relations are highlighted. “My father bought the land in 1932. He was working as a cook at Gokomere mission. He had no land in the reserves. He came with some relatives. He used cattle to buy the 132 ha farm from the commercial farm – equivalent to £90. There were three commercial farms subdivided for the Purchase Areas, all owned by whites. I was born here in 1939. We got title deeds later, but they are no use. There was a deed transfer to my older brother when my father passed away. My father sold crops to European traders. There was a Greek based at Zimuto, and he moved in a huge ox wagon, buying grain, exchanging for sugar. We sold cattle to the whites who had farms near here. Our education came from farming. I was boarded at Gokomere to standard 6 aged 17. I then worked as a policeman in Zambia during the federation. I came back in 72, and worked at Triangle sugar estates in security/loss control. My father died in 1975. He had two wives, and they all farmed together. My three brothers all stayed here, with their wives and families. I set up home here after I returned, while living in Triangle. I bought cattle then, which were herded with the others’ animals. Today we grow maize, wheat, groundnuts and have about 20 cattle. One person is employed as a herder. These days we only farm about 3 ha; before it was more like 8 ha. We have a garden area for groundnuts and some vegetables, some of which are sold locally. The rest of the farm is grazing. We sometimes have relatives who leave their animals here, but we also have a lot of problems with neigbours’ cattle and those coming from the research station. We have a boundary fence but no paddocks, but the fence is not well repaired. We have one borehole but there’s limited supply, just enough for drinking water. These days, people are no longer interested in farming. You sell things but get no cash. I sold two tonnes last year, but nothing. We get no loans, and there is no irrigation. We survive off El Nino! “My father and mother acquired the 90 ha farm in 1957. They came from Bikita communal area. Both were teachers and both were successful Master Farmers. My father resigned from teaching soon after getting the farm, and went into building contracting. He later left that business to concentrate on farming. My mother also resigned as a teacher to commit to farming. They worked very closely together; they were both excellent farmers. In 1957, they came with 3 kids, including myself, aged one. They had a total of 8 children: 2 boys and 6 girls. My eldest sister is married in the farm area, and lives locally; others are teachers (one a lecturer at Masvingo Teachers’ College, another a headmaster in the UK), and two worked on their own businesses (one now late). My late sister and I worked with government in agriculture (extension and research), and we had agricultural diplomas. We were all well-educated at boarding schools. My parents were totally committed to education. In the past, my father kept a lot of livestock: about 40 cattle and 30-40 goats. There were also donkeys for transport, pigs and lots of poultry. We sold lots of milk, eggs, chickens, pig meat and so on. We used to have around 10 milking cows at any time. Soured milk was prepared, and sold to mission schools. We also had a programme of pen fattening of cattle, and sold 3-4 at a time too. This income from livestock was the big contribution to the education of all of us kids. We all went to boarding schools. Manure from the cattle on the poor sandy soils in this area was crucial. In the 1960s about 20 ha was cropped, but today it’s only 6 ha. We used to do commercial horticulture, selling far and wide, but now there’s just some gardens around the home. We used to have three permanent employees, and hired lots of people for piece work. We are just by the communal areas, and Bikita is about 20-30 kms away. Yes we have problems from the communal areas, but they are our neighbours, and the source of farm labour. Back then, we grew a lot of pearl millet. Maybe 15 tonnes in a year. We would spend three weeks threshing and then brewing. The beer would pay for labour. We had lots of humwes (work parties) on the farm, with up to 12 spans rotating between farms. People would come from as far as Chivi for the pearl millet. Rapoko (finger millet) was sold locally. Maize was also grown, and my father won prizes as a maize grower. Later, he moved into cotton growing, selling to Kadoma, until prices dropped. Groundnuts were focused on by my mother. They had a market, and there were approved buyers who came from the townships. This was good cash income for the family. In those days, we never had a tractor, but had 3-4 ploughs. Because of having plenty of draft animals and collective work parties, a tractor wasn’t needed. We had scotch carts, planters, water carts and so on. My father also never had a car – but we had a donkey cart that went as far as Nyika! But as time went on, the kids left home and went and did their own thing. My parents became old and could not manage the farm as they did before. The hectarage declined, and my parents relied more and more on cash we sent back. We visited but we all rather forgot the farm. There was no cash reinjected into the farm. People were all over, and had other things to focus on. My elder brother was in the UK; kids had to have university fees paid and so on. My father is now late, and my mother very old and frail. My older brother has no interest in the farm, but I now want to come back and do something commercial here. I have got a sugar plot in Hippo Valley and a house in Masvingo urban, but I no longer work for government, so can be flexible. I have been looking around for water. We have to move from dryland farming. Irrigation projects are the only solution. But I have not had luck with the boreholes that have been sunk; in all cases the yields have been poor. I now have a decent deep well, and I will put a borehole near the river for a small irrigation plot and watering of livestock. We now have 10 cattle, and the herd is growing again. I have another three at my sister’s place nearby. Earlier this year, I sold four to buy a kombi. I have employed two permanent workers, who look after the place when I am not here. One works in the fields and one oversees the grinding mill. I want to focus on commercial horticulture, not maize for sale. Nyika is 27 km away on a poor road, so it has to be worth it. Currently we sell groundnuts and nyimo. 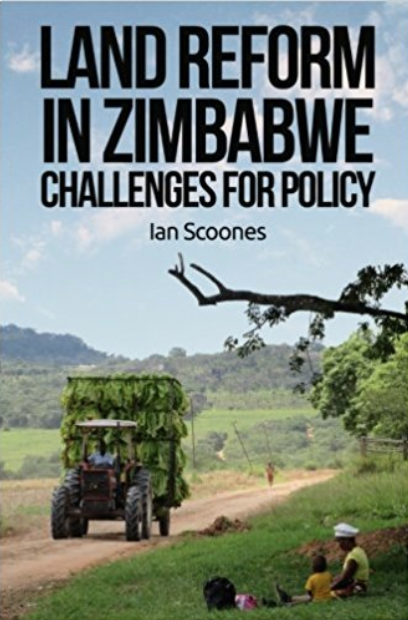 “Agricultural intensification has been neither inevitable nor continuous in African farming systems. In some areas, intensification was halted or reversed by changing environmental or political and economic conditions; in others, it has occurred not as an adaptive response to population growth or commercialisation, but in the face of growing labour shortages and declining commercial activity. Such cases underscore the importance of studying farming as a dynamic social process. As farmers contend with social as well as environmental conditions, changes occur not only in what is produced and how much, but also in when work is done and by whom. Thus changes in cropping patters and methods of cultivation are influenced by social factors which govern the timing as well as the mounts of labour devoted to farming, as well as the control of effort and output….Variations in the pace and/or direction of agricultural intensification are occasioned not only be exogenous events, such as war and peace, drought or flood, but also by changes in the production dynamics of particular crops” (Berry 1993: 189, 186). She was talking about the agricultural histories of Ghana, Nigeria, Kenya and Zambia, but she could as well have been talking about Zimbabwe’s Purchase Areas. No condition is ever permanent, but understanding the social dynamics of agrarian change is essential. As I discuss next week, these longitudinal insights from the Purchase Areas may reveal something about how policy addresses the A2 medium-scale commercial farms created through land reform, offering notes of risk and caution, as well as hints at new opportunities. Thank you for these vivid accounts, especially valuable for their historical perspectives and the way they illustrate some of the different paths that people take into small-scale commercial farming at a late stage in life. Mr. FM’s account is more informative about changes in socio-economic conditions and farming practices (tho it would be interesting to know more about the “trouble” with the communal area he referred to), but Mr. MM’s portrait of his large, close-knit family is equally vivid. Your blogs are wonderfully informative about the on-going twists and turns of agrarian life, and I really appreciate receiving them. Thanks Sara! As the blog says, we continue to take inspiration from your work. Indeed we just handed out ‘No Condition is Permanent’ to 6 teams of African researchers about to embark on studies of agricultural commercialisation across the continent.